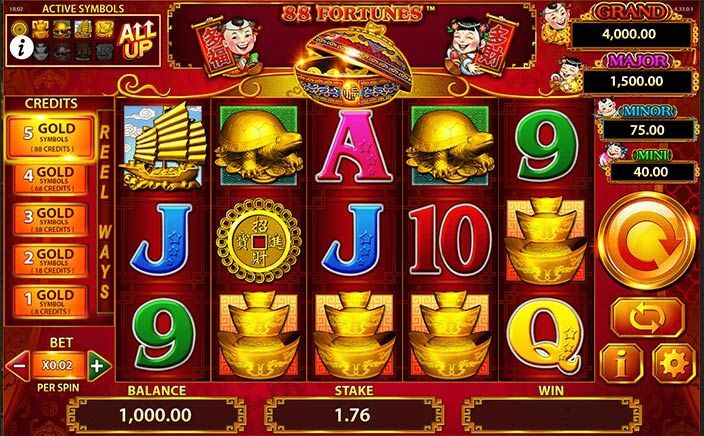 Chinese-themed slots are not new, but this one is unlike any other Chinese-themed slot game. Because it is based on the number 8 and the Chinese influence comes in because the number 8 is considered lucky by them. 88 Fortunes slots by Bally Technologies is a 5 reels and 243 paylines. It also has free spins round and a progressive jackpot both of which promise to keep the player excited throughout. Bally Technologies is a developer of slot games that is based in Enterprise, Nevada. The company is currently owned by the Scientific Games Corporation and is well known among slot enthusiasts. The slots game is very well-crafted and has a red and gold colour tone. Since the slot game is oriental-themed, the main symbols are all related to it. You have a turtle, a bird, a dragon, a pile of gold coins and a Chinese dollar. These symbols are joined by basic card game symbols such as 10, K, Q etc. The themed symbols have a higher value than the basic ones. This slots game is divided into 5 levels. At each level, a themed symbol turns golden. Golden symbols offer more payouts. The Golden symbols also determine the amount of jackpot that you are going to get. As far as the bonus symbols are concerned, there are two – The Fu Bat symbol and the Gong symbol. The bat is the wild while the gong is the scatter. The scatter symbol acts as a trigger for the free spins round. Landing 3 or more of it launches the free spin bonus round where you get 10 free spins. The spins play out in reels filled with themed symbols so that all your wins are big. The other bonus round of 88 Fortunes slots is the progressive jackpot which is triggered by landing more of the Fu Bat symbols. Here you are asked to pick identical coins to win. 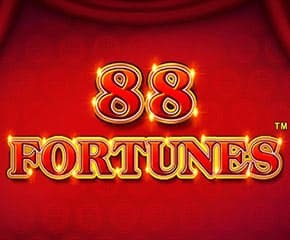 88 Fortunes slots has a very good payout rate of 95.93% which almost guarantees you a full return of the money you spend on this slot. Combine this with the fact that the slots game has a really solid gameplay and good graphics, you have got a winner.